It all begin in 1905 when the Jacobson case went to court against the state of Massachusetts. This was a public health law case where the U.S. Supreme Court issued a landmark ruling to upheld the right of the state to force vaccination. The court declared that smallpox was a reasonable threat and that police power of the state could be used to protect the public health and safety of others. (197 U.S. at 25, 25 S.Ct. at 361). Despite Massachusetts enacted statute that authorized local boards of health to require vaccinations, Jacobson challenged his conviction and refused to be vaccinated against smallpox as required by regulations of the Cambridge Board of Health. The court rejected the idea of an exemption based on personal choice and as a result declared, “The liberty secured by the Constitution of the United States to every person within its jurisdiction does not import an absolute right in each person to be, at all times and in all circumstances, wholly freed from restraint. There are manifold restraints to which every person is necessarily subject for the common good. On any other basis organized society could not exist with safety to its members.” Jacobson v. Massachusetts (197 U.S. at 26, 25 S.Ct. at 361). The Jacobson trial was the first of many battles against the vaccination war and since then we have come a long way. Today schools across the nation provide exemptions from immunizations for religious beliefs, to certain health conditions and more. 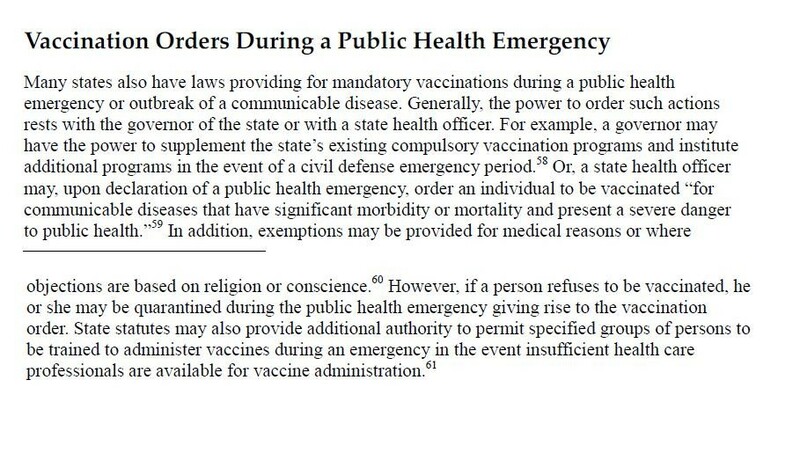 But quite frankly with the rise of the Ebola and RV D68 epidemics it won’t take much before our schools or communities think back to the Jacobson case and claim that all must be vaccinated for the betterment of the whole regardless of religious beliefs. 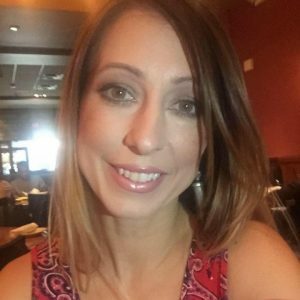 After reviewing the Jacobson case I decided to dive in a little deeper to find out about our current mandatory vaccination laws, which I discovered in two documents: 2014 Mandatory Vaccinations: Precedent and Current Laws and the CDC’s Vaccinations Mandates: The Public Health Imperatives and Individual Rights. In the video below I thoroughly analyze not only these two documents but also cases and events in our histories vaccination saga. What I found will not only anger you but it will prepare you for what could be coming in our near future….